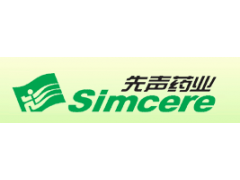 Founded on 28th March 1995, Simcere has swiftly evolved from a pure pharmaceutical distributor into a leading pharmaceutical manufacturer and supplier in China's rapidly growing pharmaceutical market. Simcere currently operates one research and development center, two nationwide sale and marketing subsidiaries and four GMP manufacturing facilities. It has approximately 4,300 employees in China.